An additional source of biologically active substances of plant origin. It promotes normalization of carbohydrate metabolism, reduction of blood sugar level. It has general health improving properties. Bean shells — 0.27 g, horsetail plant — 0.225 g, St.-John’s-Wort (hypericum) plant — 0.15 g, chokeberry fruit — 0.12 g, dogrose fruit — 0.1125 г, dogrose seeds — 0.1125 g, nettle leaves — 0.1125 g, nettle plant — 0.1125 g, galega (goat’s-rue) plant — 0.075 g, cornel (dogwood) herb — 0.075 g, dandelion roots — 0.075 g, stevia leaves — 0.06 g.
Beans have blood sugar reducing, hypotensive, anti-inflammatory, diuretic effect, helps normalizing metabolism. Beans have positive effect on the cardiovascular system due to high content of macro- and microelements, easily digested proteins, vitamins and other useful substances. Lectins in beans stimulate synthesis of nucleic acids, proteins, enzymes, improve ability of cells to utilize glucose and release insulin from the pancreas. Horsetail reduces blood sugar level. It has anti-inflammatory and diuretic effects. St.-John’s-Wort (hypericum) has spasmolytic effect on the unstriated muscles of the whole body and blood vessels. It stimulates heart function, increases amplitude of contraction, increases blood pressure, dilates vessels. Chokeberry (aronia) is effective for treatment and prevention of the cardiovascular system diseases, including atherosclerosis, essential hypertension, thrombophlebitis, cerebral vessels sclerosis, various types of bleedings etc. It is effective in case of viral infections, glomerulonephritis, hemorrhagic diathesis, exposure to radiation, skin diseases and in diets of patients with diabetes mellitus. Dogrose reduces blood cholesterol level and dissolves cholesterol plaques. It prevents blood clots and stones formation in the urinary tract, it relieves vascular walls tension, stimulates clot lysis, improves liver function. It is used as an auxiliary product for diabetes mellitus management and CAD treatment. Nettle is highly valued in case diabetes mellitus due to a substance from the group of glycoprotein – secretin – in its content, which normalizes metabolism, stimulates insulin secretion, thus leading to reduction of blood sugar level. Nettle is also a precious plant, containing great deal of vitamins; it contains significant amounts of Vitamin C and A, microelements, biologically active substances, having therapeutic and preventive, as well as general health improving effect. Galega (goat’s-rue) is one of the most popular products, which are recommended for patients with light form of diabetes. The plant has diuretic, diaphoretic, antimicrobial and anti-inflammatory effects. Cornel (dogwood) is used both for prevention and treatment in case of diabetes mellitus, problems with the gastrointestinal tract, in case of venous insufficiency, normalization of pressure, prevention of atherosclerosis. Dandelion improves general state of the body and normalizes metabolism, reduces blood cholesterol level, relieves signs of hypertension and heart insufficiency. It has choleretic, diaphoretic, anti-inflammatory, tonic effects. Stevia is a safe sweetener. 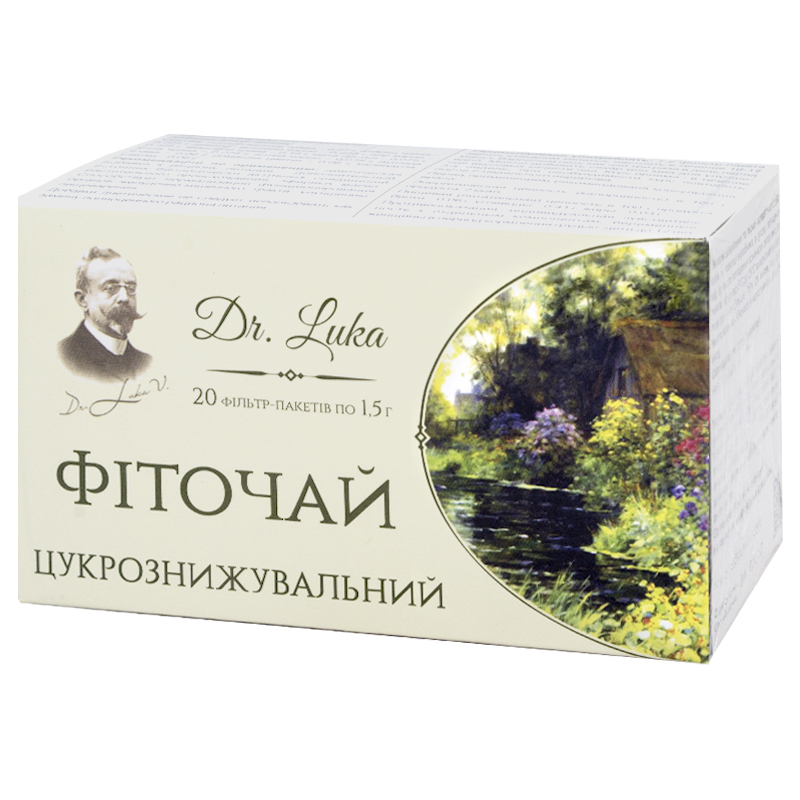 It is recommended in case of obesity, diabetes mellitus and other metabolic diseases. It promotes cholesterol level reduction, improves functioning of the gastrointestinal tract, the liver and the pancreas. Proteins 0.06 g, carbohydrates – 0.41 g, fats – 0.03 g.